It’s November and in the spirit of the Holidays and Thanksgiving we would like to say “Thank You” for being a part of our DJ entertainment Family! We all know that Thanksgiving tends to be more like an eating contest than anything else…stuffing your face with turkey, gravy, and pumpkin-spice everything. Giving thanks for your loved ones and friends somehow seems to be the last thing on people’s minds. But we have a solution! A lovingly selected Top-5 Thanksgiving DJ playlist that will make you feel, well, thankful during this year’s gathering. 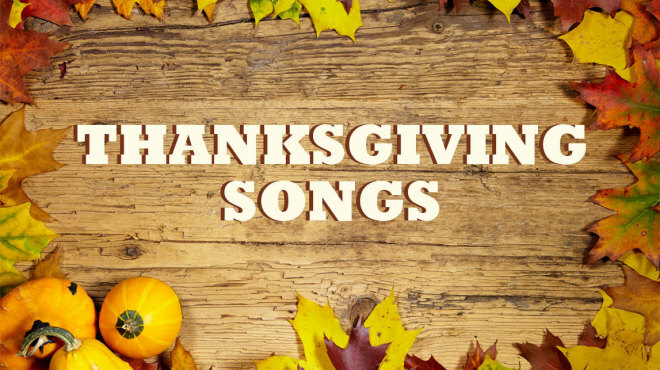 We selected songs to give thanks and maybe even shake off those nine million calories you just consumed during your Thanksgiving meal in the process.